The Shorenstein Center at Harvard is doing some great work on the study of newsletters, in this piece exploring the org-chart allocations underlying newsletter production. We commonly see newsletter production living in an undefined space, somewhere between editorial, marketing, growth, and sales. Continuing to refine responsibility is critical to the growth of a successful product. Innovations in influencer marketing make us feel old. However, unexpected innovation in media business models are about as cool as it can get! A recent Adobe Lightroom software update allowed users to create and share their custom preset filters and influencers began selling their existing ones via a marketplace like FilterGrade. It’s apparently less about the filter, and more about the connection with your audience. This WSJ piece manages to combine our love of digital highlights, data analysis, and reading all into one fun piece. Using public Kindle Highlight data, they created an index to gauge how far into a book the average reader went. One clear pattern is that fiction is more likely finished. Are you using Gmail’s new “Smart Compose” feature? We’ve found ourselves hitting the tab key at an increasing pace while composing emails. Sometimes, the most unexpected of traditional forms of entertainment can translate perfectly to the digital realm. 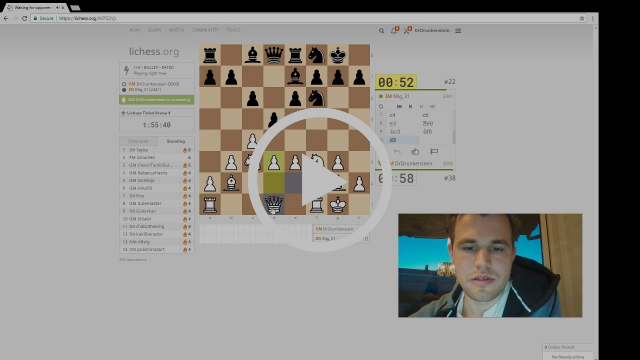 Tyler Cowen makes a convincing case that a number of unique elements specific to chess make for the perfect, keep-open-in-a-side-window-at-work, form of streaming entertainment. Also, we were introduced to a social-media savvy, trash-talking chess wunderkind named Magnus Carlsen who we’re very curious to now follow. When we first heard the news that Fortune would be sold to a Thai billionaire, the first thought that crossed our minds was, please do not mess with the CEO Daily. The second thought that crossed our minds was, now that Alan Murray was being named the CEO of Fortune, maybe they’ll begin to centralize their overall strategy even more around newsletters! The CEO Daily has long been a standout in business media newsletter’ing. The introductory section is written by Alan Murray, himself, and clearly feels like something far more significant than a ghostwritten LinkedIn Influencer post. It is a very genuine look at what a business publishing legend sees on a daily basis. We can anonymously report that a number of our most senior executive clients swear by this as the gold standard of newsletters. An Austin-based creative agency created Alexa skills to have the Amazon Echo apologize to every city passed over for HQ2.